1. You over-use the word fiancé - An hour after he proposed, I couldn’t help but say ‘Oh hey Fiancé!’ multiple times until it got very annoying (but I secretly loved every minute of it). You find yourself constantly using this word all the time just because you can! I wake up every morning with a ‘Morning fiancé’ in the most girliest voice possible and he laughs at it and replies back but you can tell on his face that it gets a bit annoying after a while lol. 2. You want to tell EVERYONE – Yes, even strangers. I couldn’t stop showing off my ring to the whole world afterwards. I was paying in Primark and I handed over my money whilst showing off my ring as if to say “Yep. He put a ring on it”. You will want to put the news out there on everything whether that’s Twitter, Facebook or Instagram with the most amount of engagement hashtags as possible. EVERYONE NEEDS TO KNOW. 3. You will become super over-protective of the ring – It’s gotten to the point where I’ll take my ring off before bed and put it back into its perfect little box because I’m too scared in case it falls off whilst I’m asleep (even though it probably won’t). You will also get very paranoid if anyone wants to hold the ring, in the back of your mind you’ll be saying ‘omg please don’t drop it, ok that’s enough. Okay give it back now’ haha! 4. You will immediately start planning your wedding – Even though we don’t plan on getting married until a good few more years yet, I instantly took to Pinterest and made a wedding board so I could pin all the cute and quirky wedding ideas. Then you’ll share all your marvelous ideas with your fiancé to the point where he’ll get so bored and fed up of looking at wedding stuff when you’re nowhere near getting married yet lol. It’s just fun to do and omg let’s not forget about how many wedding dresses you’ll end up looking at. 5. 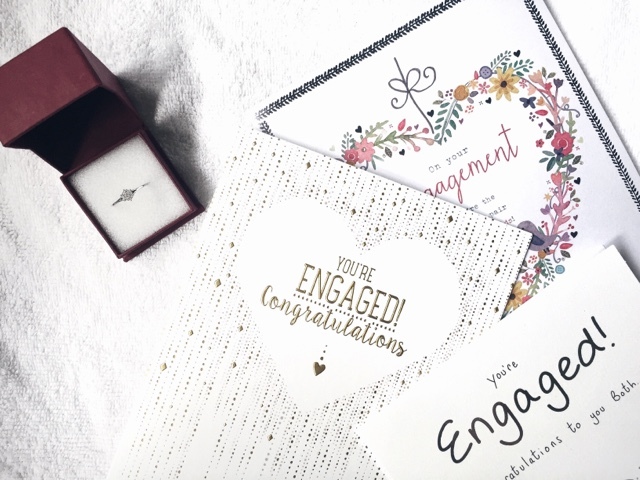 You’ll tell the engagement story over and over again – At first, it’ll be fun and exciting to tell all your family and friends the famous story of how he proposed, but once you get asked for the thousandth time, it will start to get a tad annoying. 6. You will get excited every time you hear Beyoncé’s song – All the single ladies will start playing and you’ll end up doing some crazy dance whilst pointing to your ring with that hand flip move to show everyone that he did put a ring on it. 7. You’ll constantly keep up with painting your nails – I’m the type of girl who hates painting my nails and if you know me then you’d know that I always have chipped, ugly nails. Not anymore. I feel like a changed women and I constantly want to buy prettier nail varnish so I can get those perfect nails for when I show everyone the ring. 8. You will feel so overwhelmed yet super happy – At one point you will actually realise that you’re going to be marrying the person you love the most and spending the rest of your life with them. It’s such an overwhelming feeling of happiness and excitement. They have unique shapes | Most beauty sponges will come in a sort of oval shape which makes the rounder side perfect for bouncing foundation over the main parts of your face, then you have the little point which makes it easier to get the foundation blended around your nose and underneath your eyes. You can use them wet or dry | I like to use my complexion sponge when it’s a bit damp as I find it’s easier to blend my foundation out, also the sponge becomes softer and more flexible making it a whole lot easier to use. The only time I tend to use a dry beauty sponge is when I’m baking with loose powder, I like to pick up a good amount of product and bake underneath my eyes, my nose and my smile lines. It works perfectly and my makeup doesn’t budge for the rest of the day. 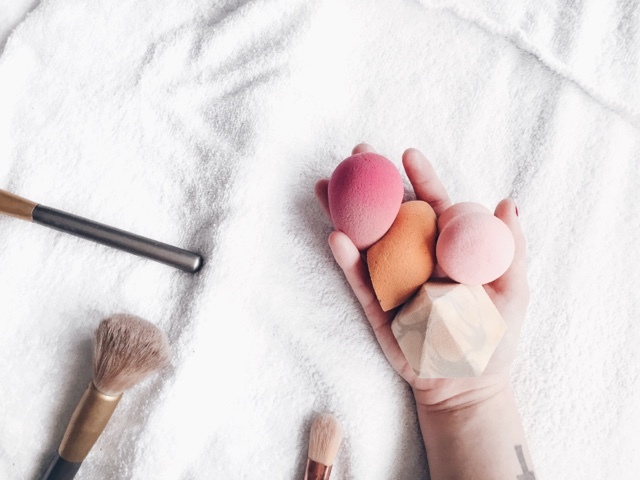 Cleaning them is super easy | Although makeup sponges claim to last a few months, they can actually last a lot longer if you take great care of them and clean them on a regular basis. I am the type of person who despises cleaning makeup brushes as I have way too many and I find it very time consuming, however I L O V E cleaning makeup sponges because they’re super easy to clean. Baby shampoo and a bit of olive oil works perfectly to deep clean and get out any staining that the makeup may have left. Sponges give me the most natural yet flawless finish | My flat top kabuki brush will always be my favourite for foundation application however, it gives me a super full coverage that I don’t always want on a daily basis. Makeup sponges are for the days where I want a natural looking skin day but I still want to look healthy and flawless. It’s also great to use when my skin is dry as it doesn’t disrupt the skin as much as a brush would. I spend less time applying foundation | Using a makeup sponge I found has been the quickest and most efficient way to apply foundation with especially if I’m in a rush. They blend out the foundation super quick without the worry of having to try and blend away brush strokes or any dry patches. I believe that everyone should have some sort of makeup sponge in their collection or at least try it, because I guarantee you’ll become obsessed with them just like I did. What are your thoughts on makeup sponges? Read a book | Reading a book is one of the most relaxing things to do in my opinion. Getting stuck into a good story helps me to forget about all my worries and de-stresses my mind from any negativity. I recently picked up a new book to start reading called: Our Chemical Hearts by Krystal Sutherland which is beautifully written Young Adult book about love and loss. Switch off from Social Media | This is something I have been trying to add into my life recently. 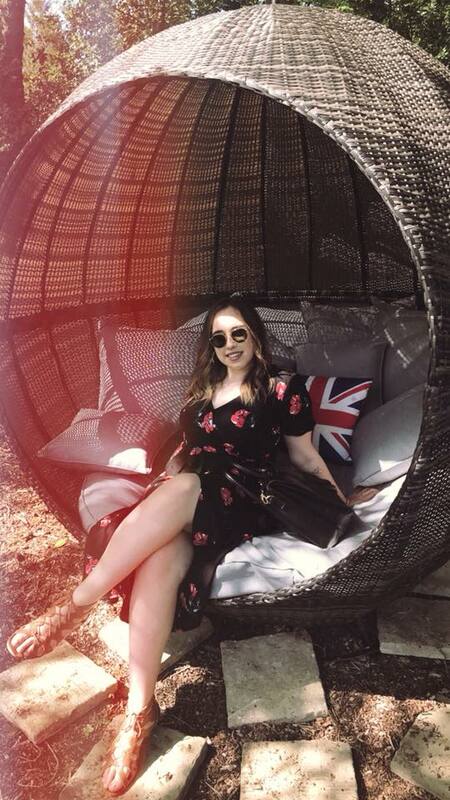 We use social media every single day for an excessive amount of hours (well, I do anyways) and that’s not a bad thing however it can become too much sometimes especially when it starts to affect your social life. It would get to the point where I’d come home from work and instead of spending time with my boyfriend who I haven’t seen for the day, we’d both end up on our phones for hours catching up. I’ve been starting to switch off from my social media for a few hours each day, and it honestly makes such a difference with my stress levels. Talk to someone | I have always noticed that it’s much better to let your feelings out to someone you can trust rather than boxing them up on the inside and actually making you feel worse. It’s okay to get a second opinion sometimes and it’s also okay to ask for some help and advice when you need it the most. When I’m stressed, I’ll either turn to my boyfriend for help or I’ll end up ranting to my best friend over WhatsApp and that instantly makes me feel better. Organising things |Bit of a strange one, but it’s always helped me. When I’m stressed and mind is completely puzzled, I like to organise my stuff. Whether that’d be my makeup drawers, my wardrobe or just cleaning around the house in general. I feel 100 times more organised afterwards and having some sort of order in my stuff makes me less stressed out in the future. Go to bed early |When I’m tired, I tend to get a bit more ‘cranky’ and agitated which is where most of my stress comes into the picture. I used to go to sleep at around 2am which was never good as I would wake up and feel super irritated for the rest of the day. I’ve been trying to get into bed earlier than normal, probably around 9pm on work days or 8pm on my days off. I never force myself to sleep as that doesn’t work, I like to lay in bed until I feel tired – going to be earlier helps me to have a better and more productive day the next morning. 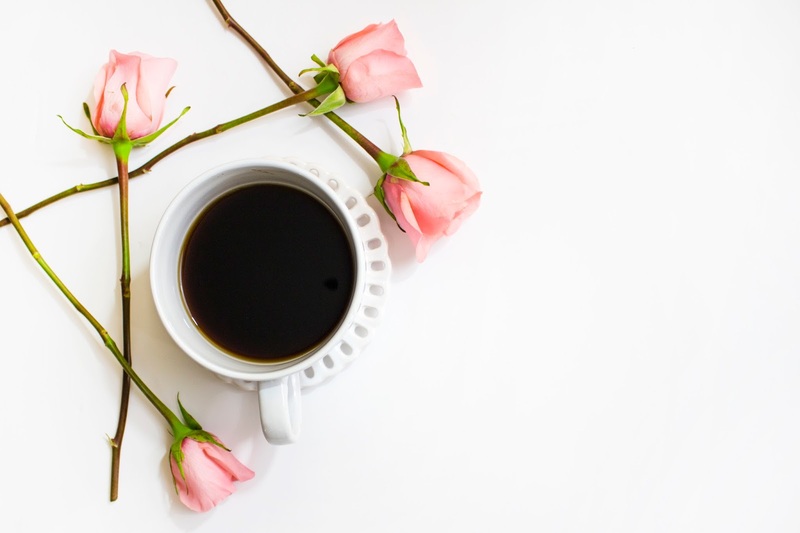 What are some of your favourite ways to switch off during a stressful day/week? Clinique Chubby Stick | This is one of the first cream contour products I ever purchased, and I also bought the highlighter chubby stick to go with it however I wasn’t a big fan of that one. Without even exaggerating here, this product has lasted me a good two years and it’s most likely out of date however I can’t bring myself to throw it away until I’ve used it all up. This sculpting contour contains no shimmer and the shade is more on the warmer side which I prefer as I don’t like grey, cool tone contours. The pigmentation is great and you only need to use the tiniest amount which is why it’s lasted me such a long time and its fab considering it cost £19. It blends into my skin nicely leaving me with natural looking sculpted cheek bones. 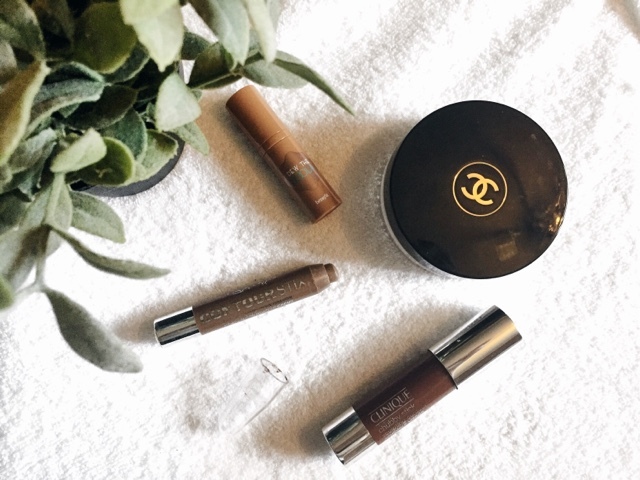 Chanel Soleil Tan De Chanel | If you haven’t heard of this product then where the heck have you been?! This was all the hype a few years back and I feel like pretty much everyone had this in their makeup collection. With the price range being £32, is it really worth it? YES. You can use this product underneath foundation for a bronzing base or use it on top as a cream bronzer. The velvety finish of this product keeps your skin looking radiant and sun kissed. It’s a light cream-gel formula which blends beautifully into the skin. It’s a very subtle product however it’s super buildable and just like the Clinique Chubby Stick, it has a warm undertone and lasts a very long time. Technic Contour Stix | This contour stick comes in a set of three alongside a pink champagne cream highlighter and a yellow toned concealer. Technic is one of the more affordable brands with the set only costing around £7 and even cheaper on some sites such as eBay or Amazon. I was hesitant at first as I wasn’t sure if I like the colour of the contour itself, it’s more on the cooler side of things however it seems to work perfectly for my skin tone which I was super happy about. The product blends into my skin seamlessly and has amazing longevity power as it doesn’t seem to budge throughout the day. I also own Technic’s cream contour palette which insists of 8 shades to help you get the perfect contour, it retails for £5 and all the shades are super creamy and pigmented. Benefit Dew the Hoola | I received this mini Dew the Hoola product in a Birchbox one month and of course, I was super excited about it. For someone who is a huge fan of the original Hoola bronzer I also cannot get enough of this product either. It’s unlike any of the other cream products I’ve mentioned so far as this one is a full on liquid bronzer… Yep, it’s a liquid. The consistency is not runny yet not too thick either. I like to apply one pump onto the back on my hand and then get a flat brush to apply it into the hollows of my cheeks, I like to blend it in with my Real Techniques expert face brush or sometimes I just like using the warmth of my fingers. It’s a warm toned shade, exactly the same shade as the original Hoola bronzer but just in a liquid form. This is a sample size however the real deal costs £24.50. I am wanting to try out more cream contour products that are on the market today as I feel that more and more brands are starting to come out with them. I’d love to know some of your recommendations.